Humans are not drinking animals. We were not born with cups for hands. We were not born with lapping tongues. We were not born with trunks. Instead we are born with grasping hands. Hands to grasp fruit. In nature, during the times of our distant ancestors in the wild, we would get all the hydration we needed from the fruits gathered and eaten on the spot. We would get the hydration we need form the raw animal foods we freshly hunted and ate. The best water, bar none is water from raw fruits and raw animal food. The water in raw fruit is structured perfectly for human hydration. If you have ever eaten a tree ripened chico / sapodilla, fresh from the tree, you will know it is bursting with so much water in such a small package. Perfectly structured water from fruit is more hydrating than the 8 glasses of water recommended by your local department of health. Use fresh ripe fruits for hydrating yourself. 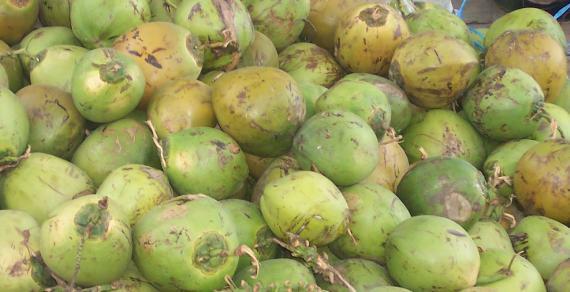 If you are lucky to live in the tropics like I do, it is worth investing in coconuts for your drinking water. For those without coconuts, getting yourself a home distiller will allow you to make distilled water. Of course distilled water is not good enough as real fruits or coconut water, all you need to do is squeeze a lemon or an orange in your glass and you have better water. For those who cannot afford a distiller, reverse osmosis may do the job. Get a TDS meter and measure your output. A good reverse osmosis machine may give you 1-2 TDS readings. The commercial reverse osmosis water in our village measures 6 to 9 TDS. Do not ever drink water from the faucet. It is full of dirt and chemicals like chlorine and flouride. In our house the reading on our tap water is 66 TDS. Spring water or well water is not recommended for drinking. Much inorganic minerals are dissolved in this kind of water and this is detrimental to our health in the long run. It should pass through distilled or reverse osmosis machines before drinking. Remember that the tree is the best water filter and water structurer. The fruit of the tree is meant to nourish and hydrate humans and other animals so that the fruits are gladly eaten and their seeds are spread. Supplemental water is water that is distilled or reverse osmosis made. The least amount of supplemental water you have to drink, the better. The more corrupt and dehydrated your food is, the more you will require supplemental water. The lesson is to drink hydrating food. If you must eat cooked food, eat broths, soups or lightly roasted. If you ate an all raw diet, you would experience that you have absolutely no need to drink supplemental water. With coconuts at my side today, I never have the need to drink supplemental water.